When I was camping at Loch Ness last May, I met a young man by the name of Gary Northorpe who was working in the area. Naturally, (if I am involved in the conversation), matters turned to the Loch Ness Monster. Gary then volunteered information about a sighting he had as a kid. He recounted that when he was 12 years old, he had been on a trip to Inverness from his home in Arbroath. In the car with him were his uncle, aunt and two cousins. It was a summer day and the weather was sunny and the loch had a flat, calm surface. Gary reckoned it would have been between 12 and 3pm as they motored down the A82 while he trained a pair of binoculars on the loch, hoping for a glimpse of the loch's famous resident. As he continued to watch the waters, something appeared in his field of view in the middle of the loch. For up out of the water appeared a dark hump-like shape. Puzzled by what he was seeing, he continued to watch the object through the binoculars. After what he estimated was about five seconds, the object disappeared back into the water; no more to be seen. Not surprisingly, when he excitedly told his car companions what he saw, no one believed him and they continued on and away from Loch Ness. Based on the fact that he was now 29 years old, we placed the sighting in the Summer of 1998. I asked Gary to draw what he saw that day and it is shown at the top of this page. The drawing does indeed reflect the most common type of Nessie sighting, the single hump. Given he was now older and had had some time now to observe the moods of the loch, I asked if it could have been a boat wake he was witnessing. He discounted that explanation based on the dome shape of the object and the fact that it submerged. Others may suggest that he saw a seal on a rare trip to Loch Ness. I wouldn't discount that possibility since we have a record of a seal in Loch Ness in the following year of 1999. Whether there was a seal in Loch Ness in 1998 is not clear and it is simplistic to call upon this solution purely on a convenience basis. As a comparison, there is the video sequence below taken by Geoff Mitchinson perhaps only weeks after on the 5th September 1998. This is also a fleeting appearance of a hump like object. Are they the same creature? Seal or monster? The main issue is the sighting lasted only five seconds and it is not clear how big the object was given it was exclusively seen in the narrow field of view of binoculars. If Gary had been on the shore and had time to continue watching, we may have had more information to aid an assessment of this possible Nessie sighting. You can read about more 1998 reports on Gary Campbell's sightings website. As an aside, I also spoke to a lady who was working on the campsite who had seen something odd some months before as she looked out on the loch from Foyers. At first she thought it was some canoes making their way down the loch, but on a further look, she realised there was no canoes causing the wave patterns. I took note of what she said, but whether she saw something to do with the Loch Ness Monster is hard to say. It is August now and one may think that the roster of Loch Ness Monster books would be near completion for 2015. That may not appear to be the case, but first a look at what has been out so far this year. The first book is one of those small, downloadable, Kindle formats that one sees more and more these days. 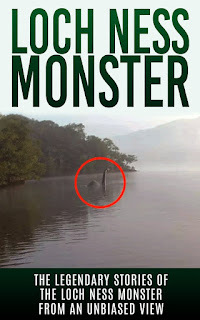 Written by Elgin Cook, it is a 35 page introduction to the mystery of the Loch Ness Monster. It is good for those who want the basic facts, though more seasoned researchers may find it too familiar. The second book is of an order of magnitude better and is entitled "Loch Ness: From Out of the Depths" by Patrick Gallacher. 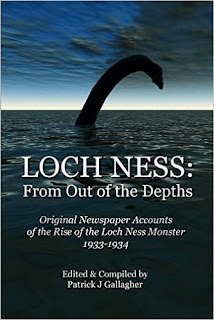 It is a compilation of many newspaper reports concerning the Loch Ness Monster from May 1933 to December 1934. 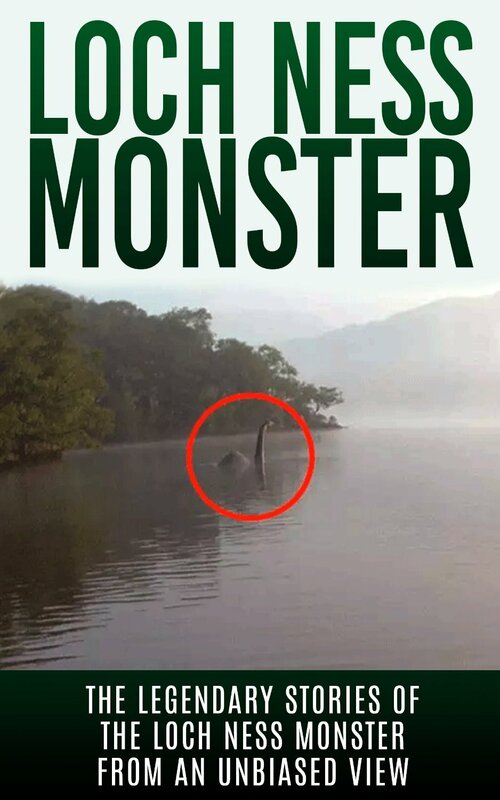 At 386 pages, it is certainly one of the biggest books on the Loch Ness Monster, though it has to be realised that this is an edited compilation of pre-existing material. Now, all of these old newspaper reports can be accessed on such online resources as the British Newspaper Archive, but I like the idea that they are now available in digital and paper format. I like it is digital because it is now on my Kindle reader and is readily searchable. Of course, the original online resources are searchable too, but I find this format more comfortable. I will also order the paperback version just so I have a paper backup of these old and valuable newspaper reports. One will also find that this is not just a monotone recounting of Nessie reports. It contains contemporary opinions and debate as to the monster's identity as well as folklore, other lake monsters and sea serpent tales. All in all, a good book for the cryptozoological shelf. But 2015 has still not yet seen the last of books on the Loch Ness Monster. The next book that is expected is Malcolm Robinson's "The Monsters of Loch Ness". This is due for imminent publication and I hope to review it as soon as it comes out. Update on my upcoming book, 'The Monsters of Loch Ness' (The history and the mystery) A chap presented me with some photographs that he took of "Nessie" back in 2011 and a drawing of "Nessie's" head. This along with his testimony, will now be going into my book as an extra. My new publisher has said that he is happy to use this and we are still looking to get this book published later this year. As I stated before, this book to me, is far more important than my other three books on UFOs and ghosts, that's not to say that I am disrespecting my previous three books, far from it. What I am saying is Loch Ness to me holds such a big part of my heart and life, and my research there over the years and going down in the Loch Ness submarine back in 1994 all combined to a book being written on a subject so dear to me, "Nessie". More news when I have it. I look forward to reading Malcolm's book. Also anticipated this year is Karl Shuker's "Here's Nessie!" being subtitled "A Monstrous Compendium From Loch Ness". I don't know much about this book apart from knowing that it will mainly consist of Karl's previous writings on Nessie. So, this book may be familiar to you depending on how much you follow Karl. Lastly, we still await Paul Harrison's book on notorious monster hunter, Frank Searle. It may come out this year, it may not. Either way, I expect this to be a highly anticipated and readable book as Paul recounts the life of this Loch Ness character and the interviews Paul had with Frank at his Lancashire home many years after he left the loch. I recently gave an interview on the Loch Ness Monster to the Bruce Collins radio show. You can hear that interview podcast here. It lasts about 30 minutes and covers the basics of the mystery. And as a final heads up, I will talking on our favourite cryptid at the 2016 Scottish UFO and Paranormal Conference in Glasgow next June. More details to follow!